What to do in a terrible rainy weather? ... 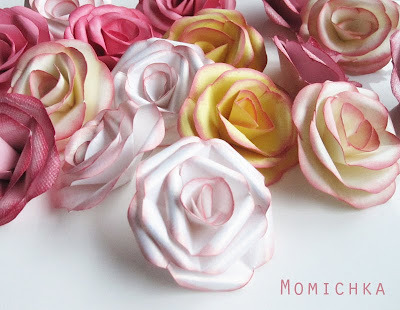 I discovered an amazing tutorial from Paula (at Paula's Paper Playground) on how to make paper roses. She was kind enough to post photos along with the instructions, and I have been busy making these lovelies for the past 2-3 days (basically since the rain started pouring on Tuesday). Thanks for the ideas and inspiration, Paula!!! These are just a sample of what I have been doing. WOW Marija, you have done a FANTASTIC job of your roses. 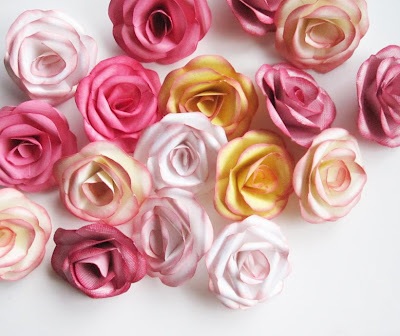 These are stunning - you have been really busy havent you!! Thanks for sharing and thankyou for acknowledging my tutorial - I'm really flattered. I fala ti i tebe Nataly!! i think you have found your niche, these are beautiful! i keep coming back to your blog bc you post such beautiful things!